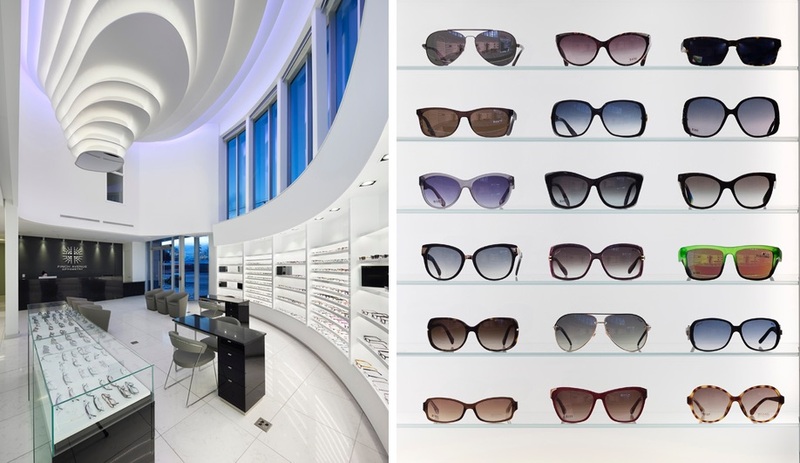 With the top award going to Bortolotto for an optometry shop inspired by the shape of an eye, the Association of Registered Interior Designers of Ontario has announced the 2015 ARIDO Awards. Here are 10 knockouts from the 21 winners. 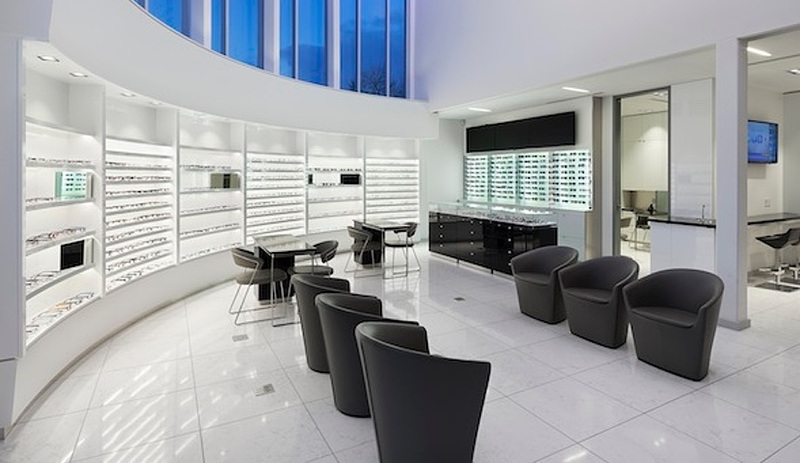 Located in north Toronto, Finch Avenue Optometry uses white lacquered display shelves and recessed LEDs to create a futuristic backdrop for showing off eyeglass frames. 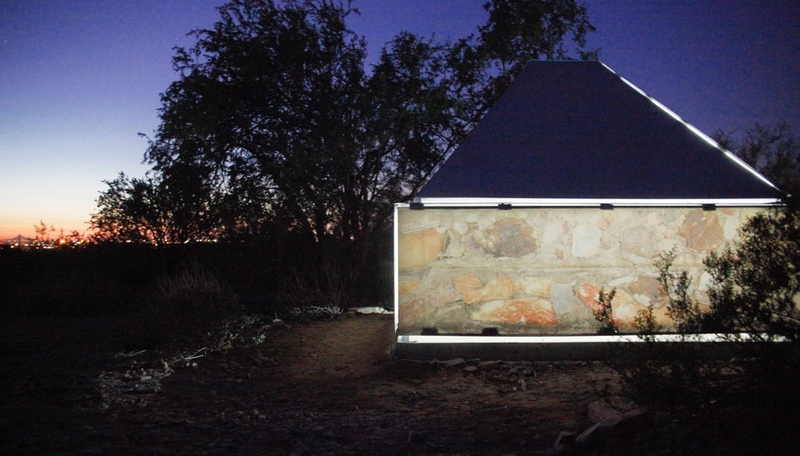 Polished stone tile flooring further reflects ambient light. 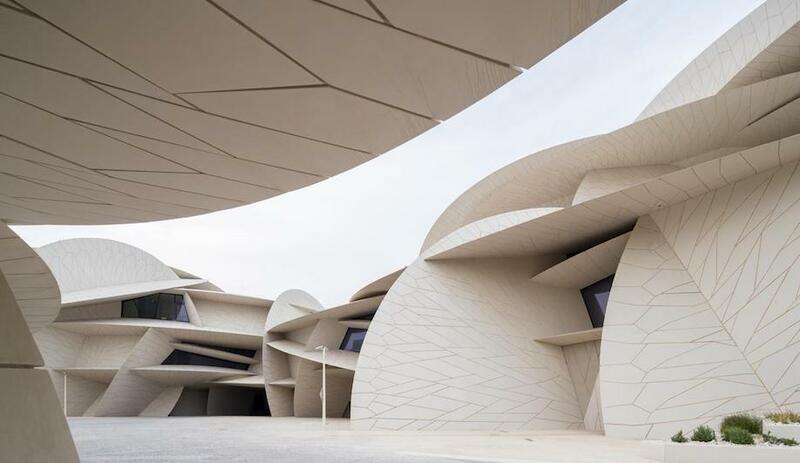 Tania Bortolotto’s design took top prize, the ARIDO Award of Excellence. Her Toronto firm has enjoyed a string of accomplishments recently, most notably plans to re-clad the Rosalie Sharp Centre, an extension of the Ontario College of Art and Design University located across the street, and neighbour to the Art Gallery of Ontario expansion by Frank Gehry. 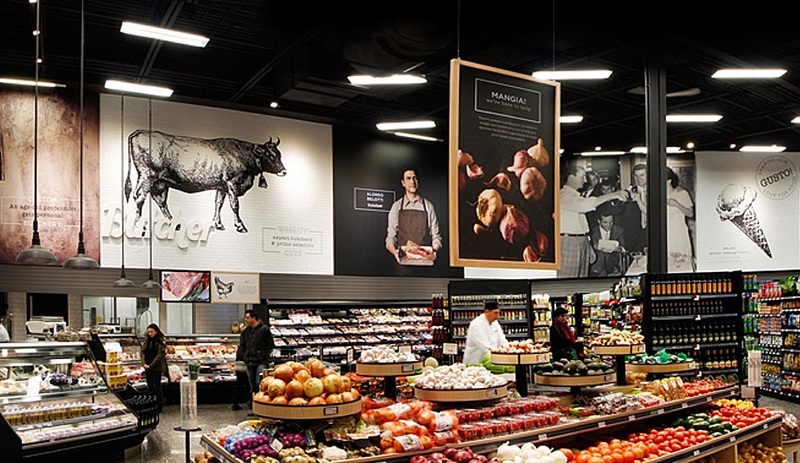 Michael Angelo’s food and retail emporium, in Markham, Ontario, brings a contemporary style to the family-run grocer, which has roots that go back two generations to Calabria, Italy. The bold design by Watt International of Toronto delivers an eye-filling and fluid space for showcasing specialty foods, and it establishes an emotional connection through visual storytelling. The flow of the space is defined by crafted signage that helps guide shoppers from one area to the next. The Noir sales centre for the 49-storey condominium tower Noir, now under construction at 87 Peter Street in downtown Toronto, is targeted to a sophisticated clientele attracted to the city’s clubland and night life. The 165-square-metre showroom, conceived by Mike Niven, was constructed with a dramatic glass door entrance accented with neo-Gothic sensibilities. Polished bronze panels at the reception desk reflect the textured herringbone floors and a lace-like canopy offsets modern desk lamps. Here’s an example of retail space where the use of materials and construction detailing reflects the quality of the products offered. The central island of this neighbourhood juicery is a multi-functional grounding element containing point of sale equipment, a recessed cooler for juice samples, and a three-stool seating area “for one-on-one consultations and small group seminars.” …Or, maybe they are just there for patrons to enjoy a no-rush morning nutritional boost. 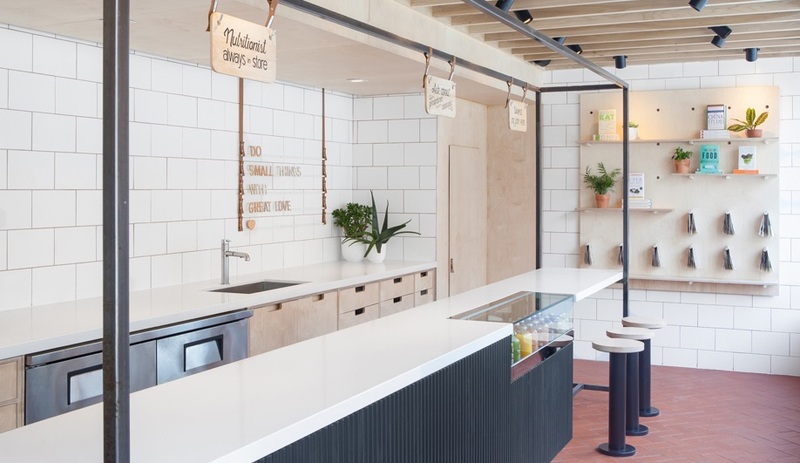 Whichever it is, the refreshing design, by Mason Studio, uses simple and appealing materials, such as white ceramic subway tile, birch plywood and raw steel, intended to reflect the purity of the juices. 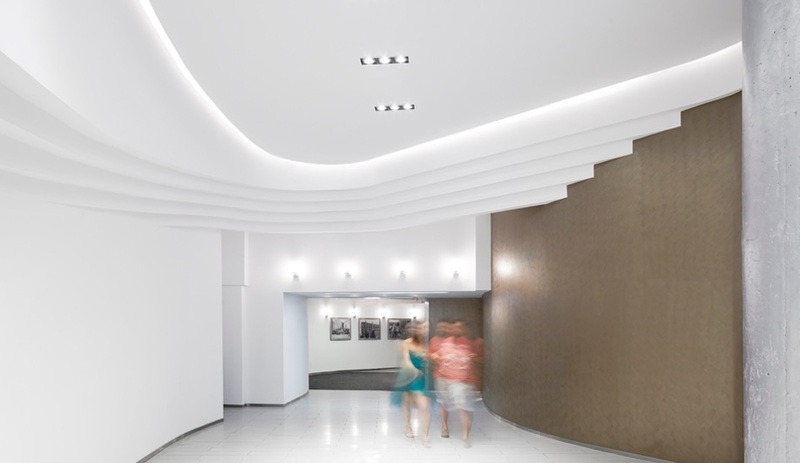 5 Merchandise Building lobby, by Tania Bortolotto of BortolottoTaking its cues from industrial machinery and the Art Deco movement, the walls and edges of the Merchandise Building condominium lobby were re-designed to incorporate tapered elements providing texture and pattern. 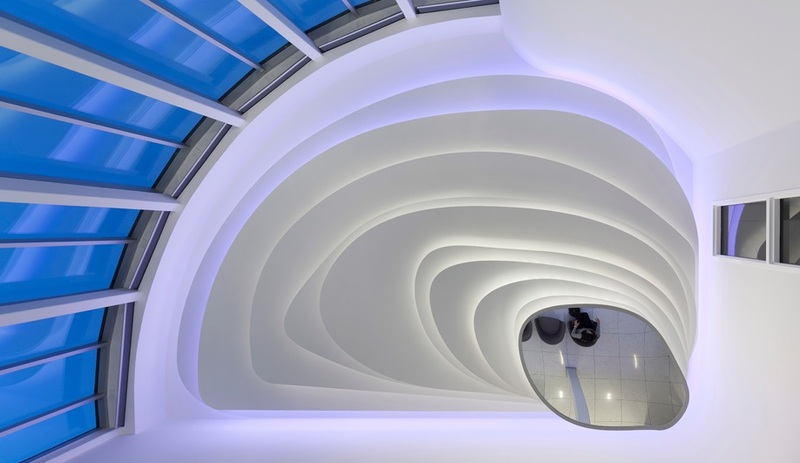 The new design, another winning project by Bortolotto, introduces a smooth and harmonious curved corridor and lobby area that can be seen as two walls of ribbon weaving its way from one entrance to the other. 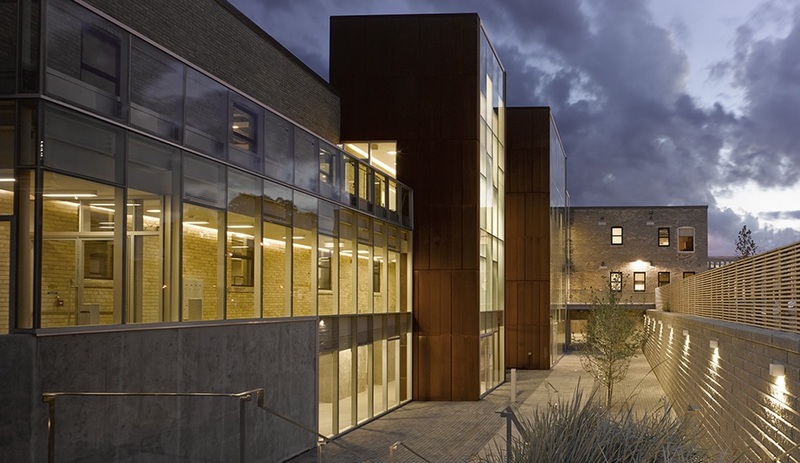 The design incorporates exposed industrial elements, respecting the building’s historic value. 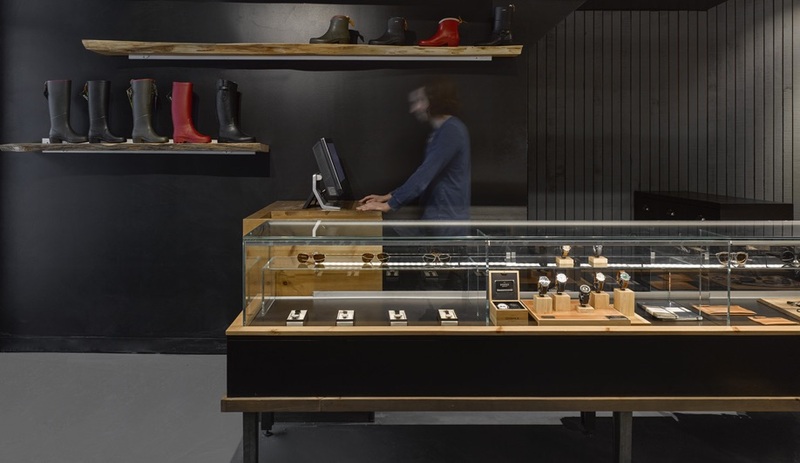 This well-established apparel retailer located on Toronto’s Queen West underwent a renovation that saw the store’s 255-square-metre volume turned into a single display unit. 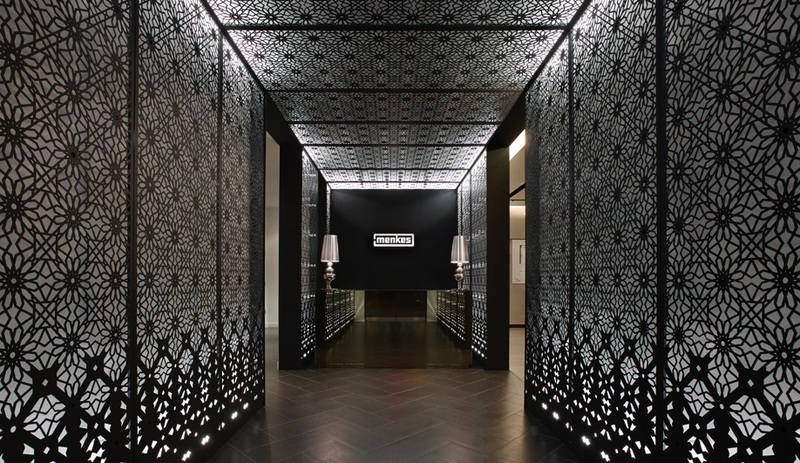 Created by Caroline Robbie of Quadrangle Architects, along with intern Victoria McGlade, the new environment incorporates a customizable metal system, with a display that weaves its way around the store, integrating lighting, walls, ceiling and merchandising fixtures. The design allows for curated visual vignettes and the point of sale is now at the back of the store. A custom wood slab table was reclaimed and integrated into the fixture system, lending warmth to the space. 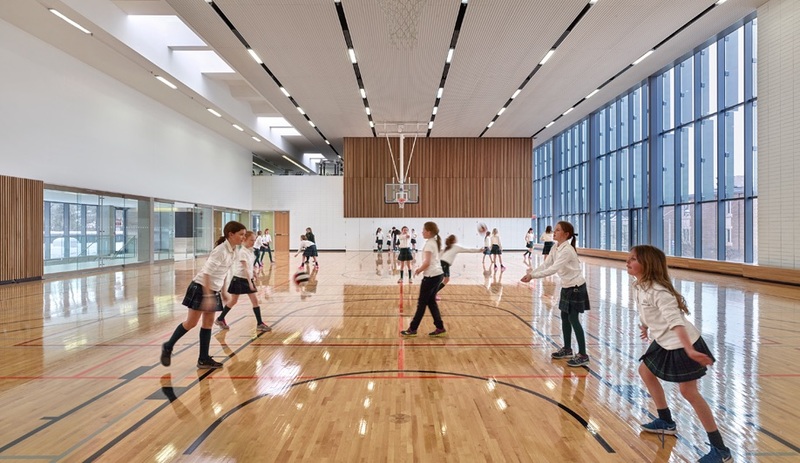 A new fitness centre for one of Toronto’s oldest private girls schools was conceived as a multi-use facility that connects to the existing school hall. 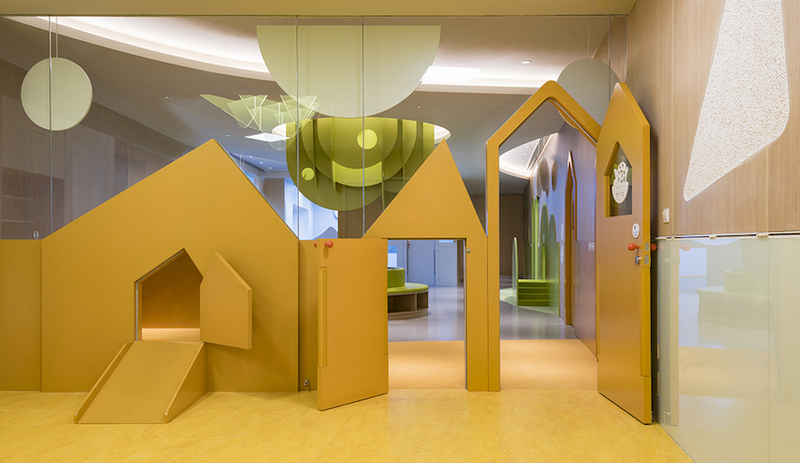 Large windows let natural light permeate deep into the space and provide a visual connection to the school’s natural well-treed surroundings. Designer Tarisha Dolyniuk chose a light, woodsy palette to reflect the locale. 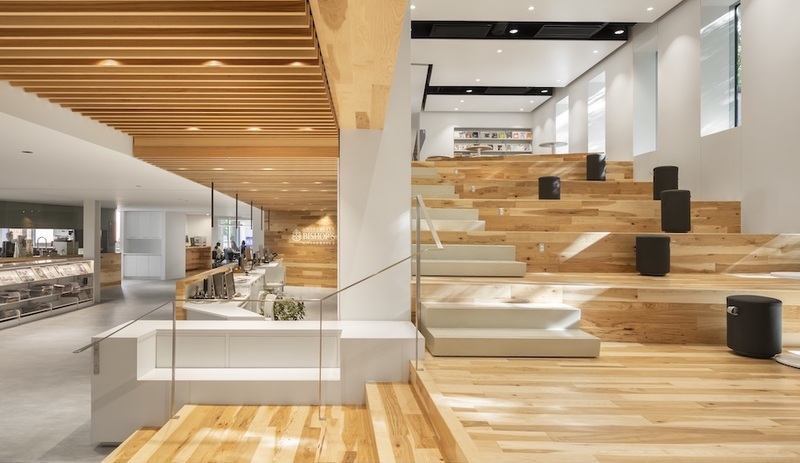 Vertical white oak-slat screening throughout help to improve acoustics, while providing a continuous visual reference to the adjacent forested ravine. A series of internal walkways with interconnected ground and second floors encourage students to engage with athletics, and inspire involvement in the athletic community. 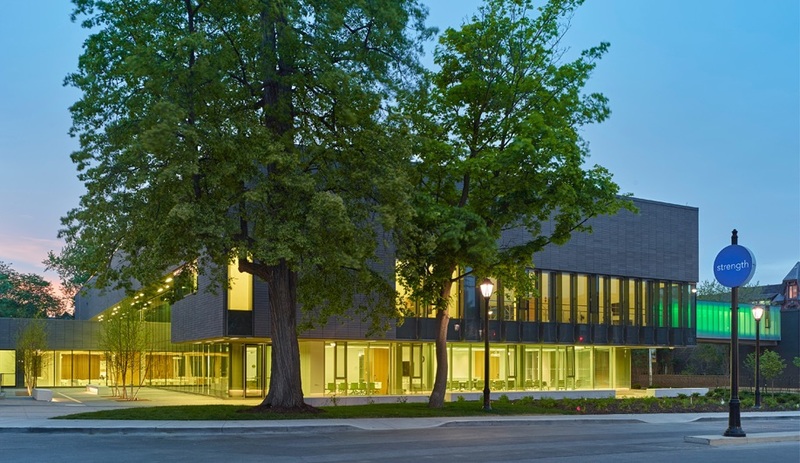 This student centre, in London, Ontario, is centred on a stone hearth that looks onto a verdant courtyard of hardwood trees. 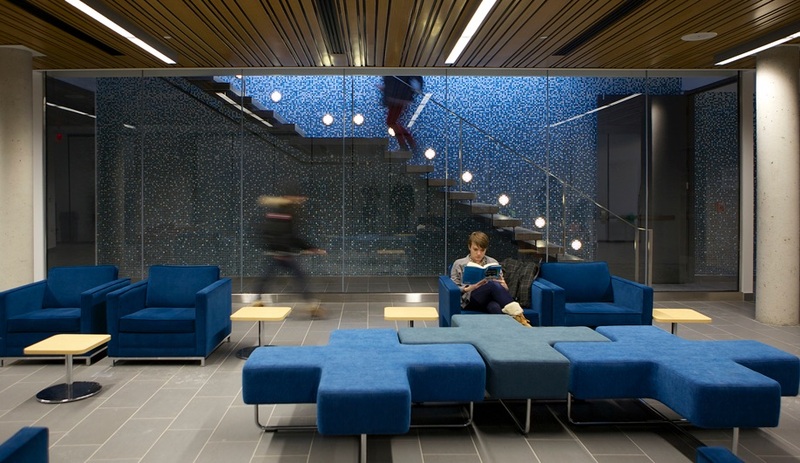 Abundant natural light find its way into the space, where warm limestone, wood and copper materials are used to articulate the program elements and connect the interior to the campus’s natural landscape. Against this material backdrop, defined by Michelle M. Sta Ana-Ascenzi and Joanne D’Silva of Perkins + Will, is a finer-grained interior design with millwork, lighting and furnishings that create shifts in scale and that are animated with bold blocks of colour. The restorative and adaptive re-use of this 1898 former warehouse in Toronto is a remarkable appreciation of the city’s industrial heritage. The interior design’s identity and markings modernize the space while depicting the history of the site through graphic elements and historical illustrations. 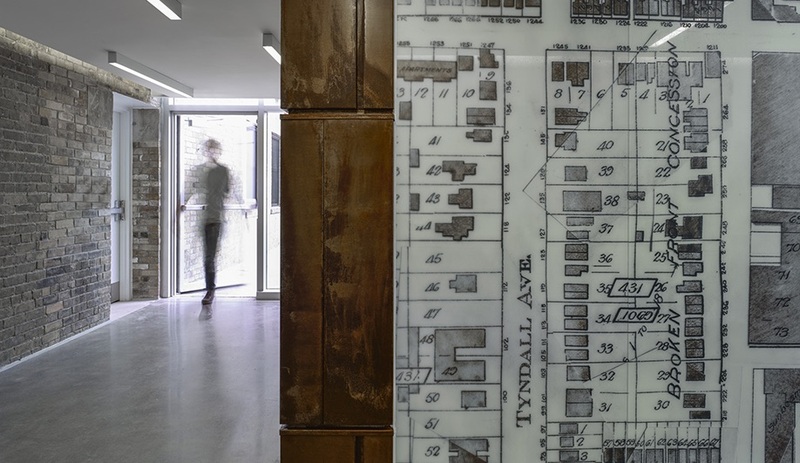 Vinyl translucent panels stretch the length of the gently sloping ground floor of the circulation corridor depicting the former industrial heart of Toronto. Material insertions and the use of colour to highlight the existing iron tie-back rods and key historical construction elements, further provider storytelling of the structure’s 117-year-old history. Restorative undertakings are an interior design challenge onto themselves, given that churches are inclined to preserve the past. Saint Leo’s Church in Toronto presented itself as a blank canvas for Stanley Kedzierski of Urban Parallel, who found a way to upgrad without erasing the past. 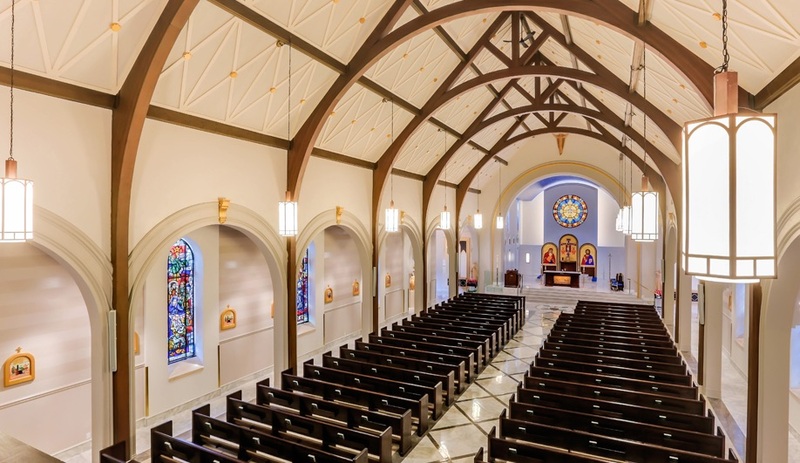 The new uplifting interior allows in natural light to bath the stained-glass windows and existing Gothic and Roman arches form a contrast against the white-wall palette, with geometric patterns accentuating and visually connecting the restored stained glass. New Byzantine style icons and gilded stars float within a rich cobalt-blue vaulted ceiling at the church’s nave. All 21 winners can be viewed here.